Ships today if you order in the next 11 hours 13 minutes. 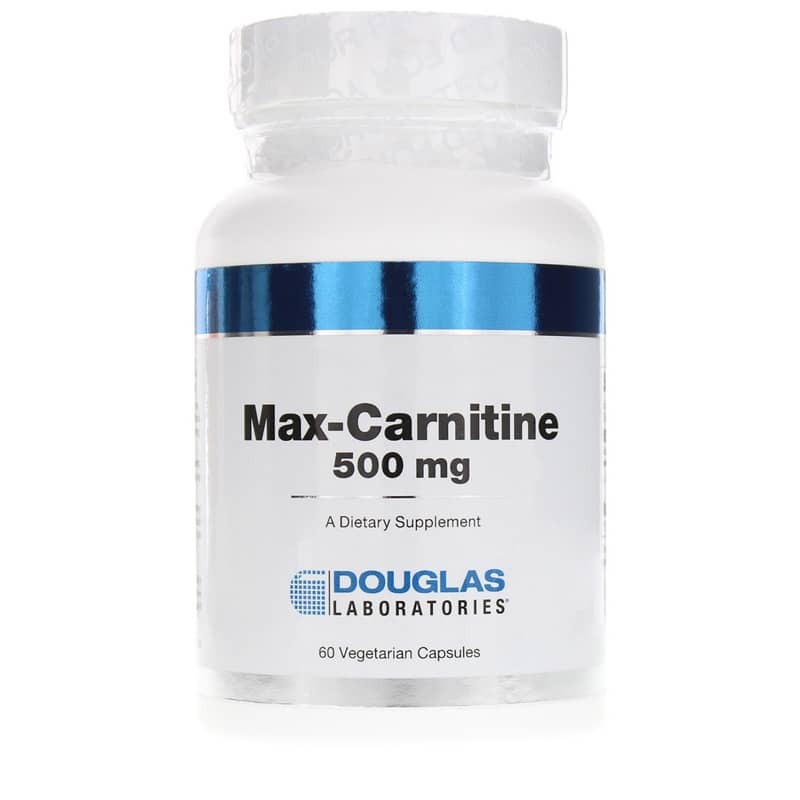 Max-Carnitine from Douglas Labs contains 500 mg of pure L-Carnitine per capsule for heart and muscle function support. 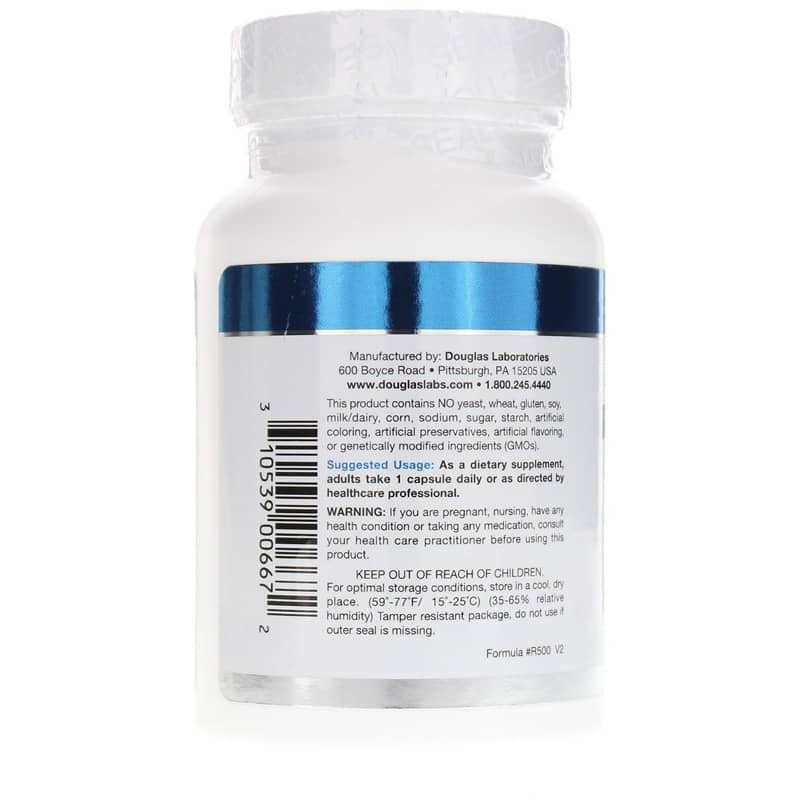 L-carnitine is necessary for fatty acid metabolism and energy production in cardiac and skeletal muscle. 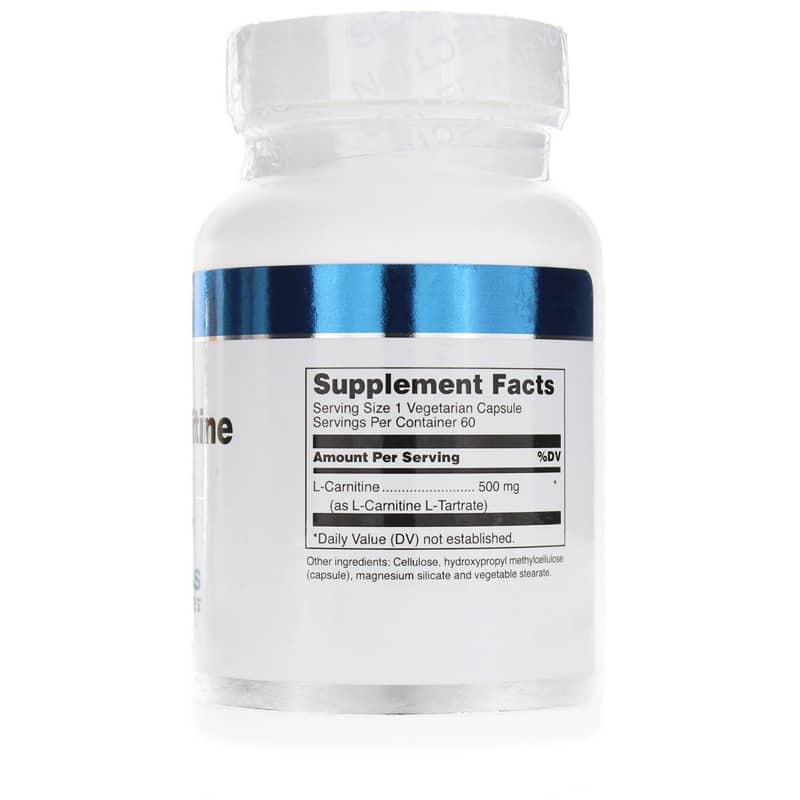 L-carnitine shuttles fatty acids from the cytosol (the cell fluid) into the mitochondria (the cells powerhouses) for oxidation and energy production. L-carnitine is necessary in muscle whenever fat is utilized as an energy source. Heart muscle always uses fat for its continuous energy demands. Skeletal muscle begins using fat only after its glycogen reserves are exhausted. This happens after about one hour of continuous, strenuous exercise, e.g., long-distance running, bicycling, swimming, or mountain climbing. Other Ingredients: Cellulose, hydroxypropyl methylcellulose (capsule), magnesium silicate and vegetable stearate. Contains NO: yeast, wheat, gluten, soy, milk, dairy, corn, sodium, sugar, starch, artificial coloring, artificial preservatives, artificial flavoring or genetically modified organisms (GMOs). Adults: As a dietary supplement, adults take 1 capsule daily or as directed by a healthcare professional.